Situated amidst the lush green expanse of Sahyadri Hills, Khandala is a must visit tourist destination in India. 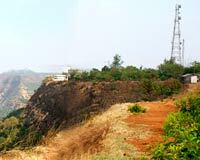 It is an exotic hill station located in western Maharashtra, at a distance of just 101 km from Mumbai. Blessed with unbound natural beauty and splendor, Khandala is the perfect place to unwind from the hectic schedule of daily life. As a result, it serves as a personal paradise for the natives of Mumbai and Pune cities, who make regular trips to Khandala - boosting its travel & tourism industry. The most striking and magnetic feature of the hill station is its scenic beauty, which is a sheer delight for the mind, body and soul. There are a number of points in Khandala, which provide the panoramic view of the valley, woods and the mountain terrain. To admire the miracles of Mother Nature closely, you can resort to trekking and hiking, which are amongst the most popular sports here. A walk or stroll through the meandering paths in the hills, is another good option to savor the natural surroundings. Moreover, there are a number of waterfalls and lakes originating from the hills, which add to the magnificence of the place. A treat for the senses, these water bodies provide respite, by the virtue of their pristine waters and tranquil locations. However, for those who are interested in the historical background of Khandala, it is quite obscure. The area near the hill station was initially ruled by Chatrapati Shivaji, which then progressed to Peshwas and later to the British. Whatever, might be the origin, Khandala continues to enthrall people with its innate beauty.